The Four Corner Workout was inspired by watching MMA and Boxing matches over the years while pondering how to incorporate the Russian Kettlebell into the training of Professional Fighting. Then pondering how to make it applicable to the average Joe, like you and I. Fighters need strength without bulky restrictive muscle mass. They also need to have a very strong core. The ability to tense up and then immediately relax is a very important skill for the fighter. Tension generates strength and power. Fighters need to operate from the middle. Their core and hips are vital to their strength and power. I know what you non martial artists are thinking right now: What does this have to do with me? 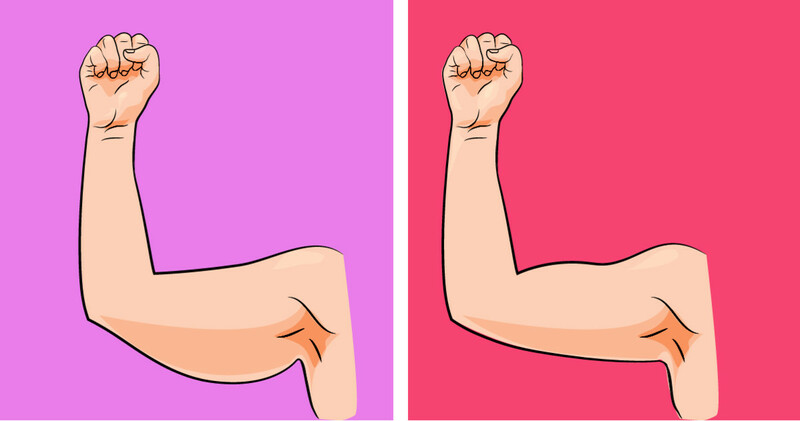 What is the # 1 vanity muscle? Abs, right? This is why we see every other infomercial promising a 6 pack. Whether it's a supplement or some strange exercise contraption, everyone's trying to sell you a quick fix approach to reducing belly fat and love handles. I believe the intentions are good but this quest for the almighty 6 pack can lead to a lack of development in other areas, such as the lower back and glutes. 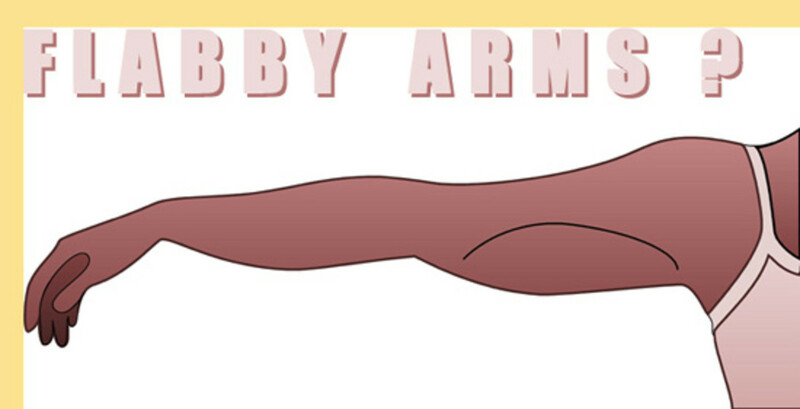 When you isolate the abdominals and develop just that, you're neglecting all the other muscles that also participate in the actual function of the abs. Your entire core or midsection works as a unit, train it as such. In fact, your entire body works as a unit and you should train it as such. If you're from the school of isolation, I understand, but ponder this: Why did Frankenstein's monster move so awkwardly? Set up in a park or open area. You want to create a space that will cover 10 square yards. 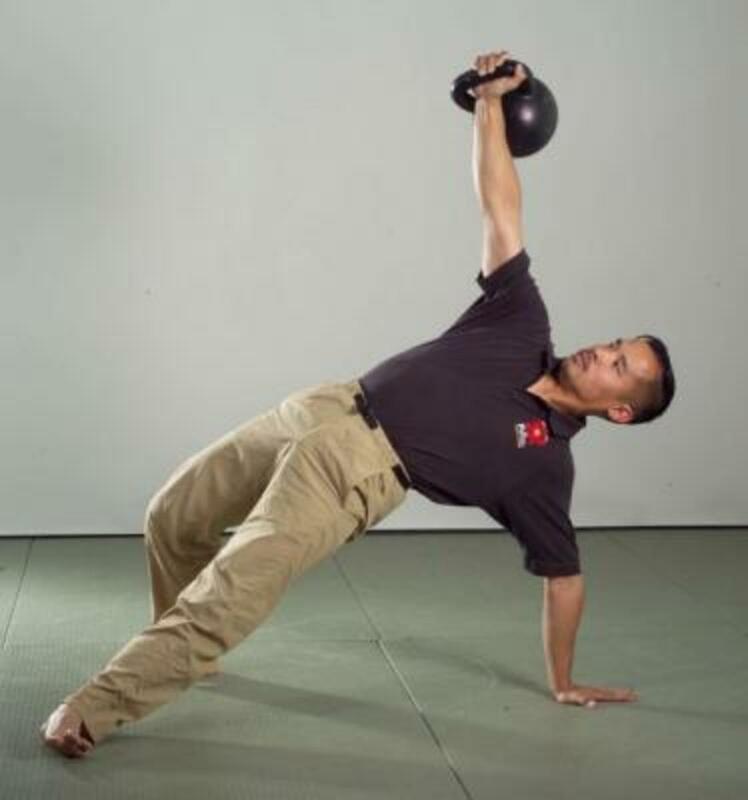 Set a Kettlebell down (the one you'll use for Get Ups) and then march out 10 yards and place a marker there. A stick in the ground will do assuming you promise not to fall on it in a fit of exhaustion. Now march out another 10 yards and do the same. 10 more yards and another Kettlebell (the one you'll swing with). Now you have a square slightly larger than a competition size boxing ring. Now, the first drill will be the Turkish Get Up. It is an ancient exercise that will develop static strength, core stability and help you develop good movement patterns. You'll perform one TGU (Turkish Get Up) with you right arm. From here, you'll hop up and jog to the next corner. This is where you'll do your shoulder bridges. Start at 15 repetitions and work up to 25 please. Based on your conditioning, if you need to start at a lower number, feel free to do so. After that, get up and jog to the next corner, drop into a push up position and bang out 15 to 25 Push Ups to a Plank. Now on to your next corner for, you guessed it, 15 to 25 swings pending on conditioning. From here, run back to your starting corner and perform another TGU with your left arm and then continue working around the corners. Boxing has a 3 minute round with a 1 minute rest. So, you'll start there. Three rounds of work, each lasting 3 minutes with 1 minute of rest between the rounds. Now if you need a break at a corner, take it. If you're huffing and puffing and need to compose yourself, do it. In the words of David Whitley, Senior RKC, "push yourself, but don't be stupid. You'll want to track your progress and progress gradually. Do a little more each time, but always do your best to maintain excellent form, good alignment and movement. Stick with this time scheme until you're comfortable with 25 reps of Shoulder Bridges, Push Ups to a Plank and Swings. Use a moderate bell for Swings and a slightly lighter than normal bell for the TGUs. Once you've hit these numbers and are confident in your ability to survive the 3 three minute rounds, it'll be time to up the ante and bump up to three 5 minute rounds. The ultimate goal will be 5 rounds each lasting 5 minutes. Let me know when you hit it! Ideally, you'll want to do this 3 to 4 times a week. Make sure you spend some time warming up and cooling down. Jumping Jacks or Jumping Rope are nice for warming up. You can also follow Pavel's Super Joints routine to warm up and Cool down with Relax in Stretch . Works for me! Practice creating tension and releasing tension (ala bracing for a punch) These body hardening techniques which are woven into this workout will also aid in toning your muscle and teach you how to generate strength when you need it (helping someone move a couch). Why not only look strong? Let's be strong and have the look follow. The Turkish Get Up will help you with shoulder stability, mobility and strength. Mastery of this drill will build resilient shoulders and help you learn primary movement patterns that will aid you in all walks of life. The Shoulder Bridge will work your hamstrings and your entire core. Abs, Glutes, Obliques, you name it. You can make this harder if you need to by only using 1 leg. 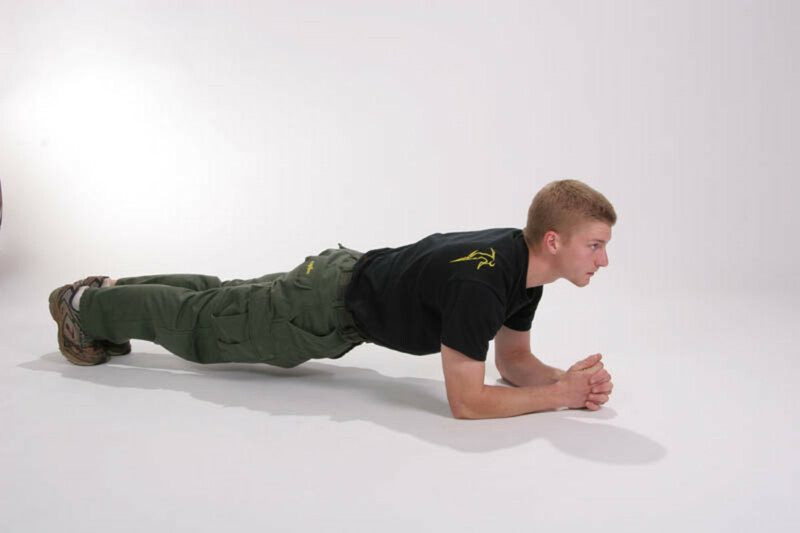 Push Ups to a Plank will also work your core and build upon the static tension/strength you generated with the Get Up. The advantage of doing these verses regular push ups is that you are training for strength endurance plus core stability while learning to manage fatigue and minimize the risk of injury. Swings is the 4th stage rocket. This will blast you off and put the icing on the cake. Practicing explosive power from the ground through your feet up your legs and out through the hips. Your arms are just along for the ride, keeping the kettlebell from flying away. 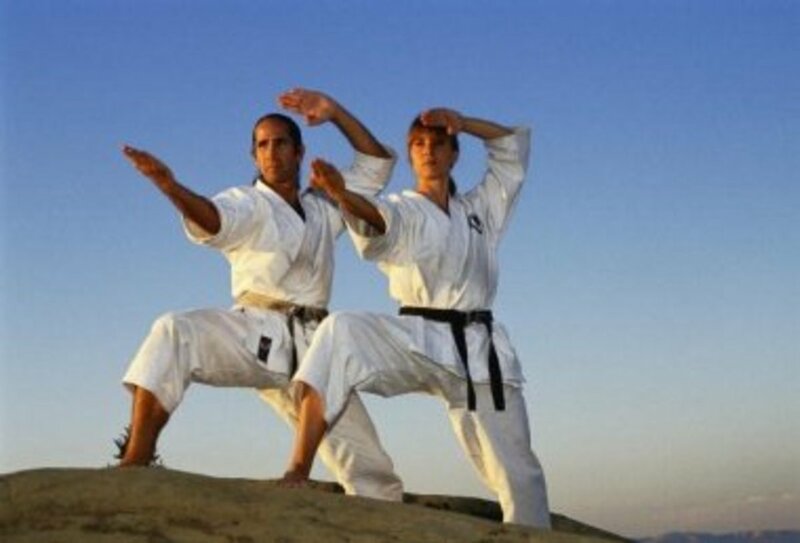 With the swing you will develop power, strength, and essential skills that are fundamental not only to the martial arts but to most athletic endeavors and daily life. Learn to move with and use your hips. If you are not familiar with these drills, especially the Swing and the Turkish Get Up, please go get yourself familiar with these drills. Seek out qualified instruction materials and qualified instructors. I have posted links and videos here to point you in the right direction. This routine can help you develop your strength and endurance, but should not be attempted until you are comfortable with the exercises and your own level of conditioning is in a place where you feel confident with the workout. There's no point in working out if the technique is sour and the form is bad. Practice these movements and view your "workouts" as practice. As Pavel puts it, "strength is a skill" and "respect the Kettlebell"
Oh yeah, and, "Enjoy the pain!" Thanks very much, I will. I'm going to school for kinesiology so I always like learning about different exercise methods, and all of your hubs have really unique and helpful information. Thank you for the kudos, a.l. laurice. Feel free to contact me if you have questions about technique or movement. You can get me here on Hub pages or http://www.dragondoor.com/instructor/1683 Turkish Get Ups are hands down one of my favorite drills of all time. Awesome advice-I'm definitely going to try this! I've been meaning to start doing the Turkish Get-Ups more often--that move is a killer!